An important part of finding the right diamond is ensuring it is accompanied by a grading report or certificate. 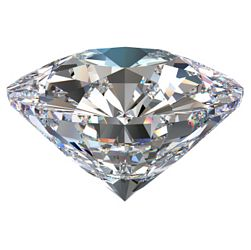 A grading report, or diamond certification report, describes the characteristics of a diamond including the clarity, colour, carat weight, and information relevant in determining the quality of cut. The report is created by several gemologists who have carefully examined the diamond with numerous pieces of equipment, including a microscope. Generally, reports on diamonds 1 carat or larger have a plot on the report. A plot is a diagram showing the clarity characteristics of a diamond from above and beneath the surface. The gem labs are usually abbreviated when speaking about the type of certificate accompanying the diamond. 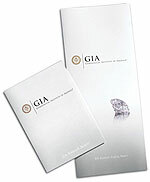 For example, a jeweller may say “this diamond comes with a GIA certificate”. A grading report is your assurance of the quality of the diamond you are purchasing. If you are looking at a diamond that is not certified, you are depending upon the seller’s judgment. If this is the case, we urge you to have the diamond examined by a GIA certified gemologist in your area. If the seller does not agree to have the gemologist examine it, it is likely that it is not graded accurately. Keep in mind that if a diamond is graded incorrectly by even just one colour, one clarity and one cut grade, you could easily be paying 50% more than you should be.